As football season nears, these tailgate ham rolls from Queens Royal Receipts are the perfect snack to bring for the big game. Preheat oven to 400˚. Mix first 5 ingredients in a bowl. Slice rolls horizontally, and lightly spread mixture on cut sides of bread. 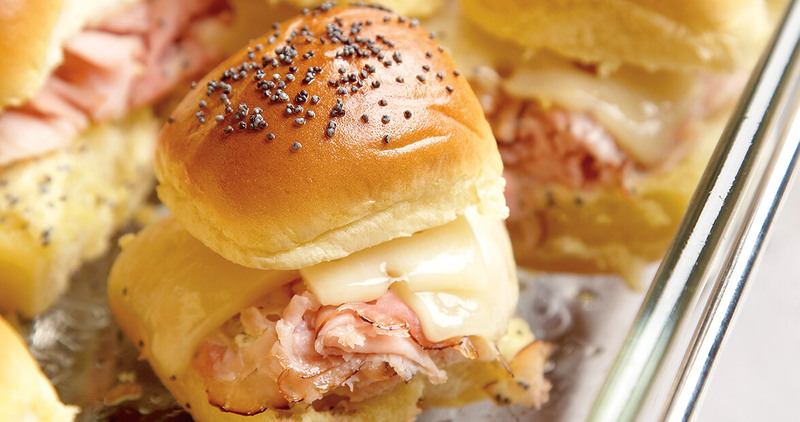 Place ham and cheese on the bottom half of rolls, replace roll tops, and cover with foil. Bake for 15 minutes. To purchase Queens Royal Receipts, contact Jane Williams at alumni@queens.edu.